Over the past several weeks I have felt very fortunate to be able to live in London for a bit, but I have felt particularly so this week as the city has erupted in joy over the birth of Prince George of Cambridge. It truly has been a neat experience to be here during this time. I love that Kate and William named their baby George in honor of the Queen's father. I have long admired King George VI, even before The King's Speech debuted. When I applied to William & Mary for college, I had to write an admissions essay about leadership and chose King George VI as my subject. I wrote then that, "He suffered from a terrible stutter, was painfully shy and did not even want to be king. But he surpassed what was expected of him and courageously led his country during World War II. George VI would not leave London during the war despite the obvious dangers that his stay posed. Buckingham Palace was, in fact, bombed several times. George VI decided to risk his own safety and the security of his family and chose to remain in the capital. By doing so, he endured many of the same hardships and perils that the rest of his countrymen endured. The king further strengthened his identification with the people by his frequent and often unannounced visits to munitions factories and bombed-out areas of England." 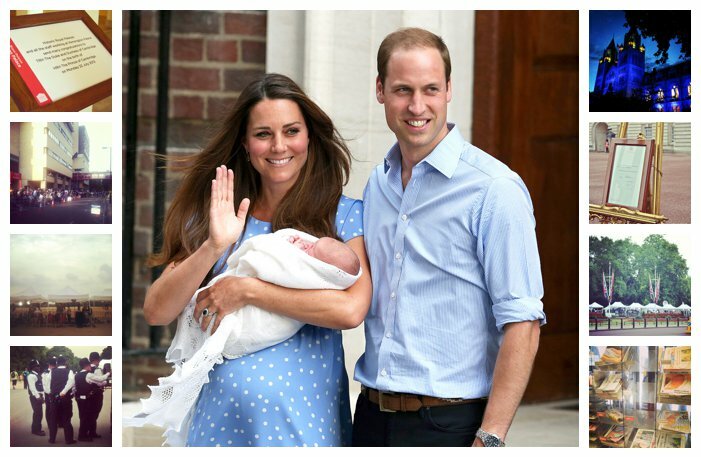 I also found it quite moving that Kate and William chose Louis as one of the baby's middle names. Louis was the first name of Prince Charles' uncle, Earl Mountbatten of Burma. Charles and his uncle were incredibly close, and Charles was devastated when Earl Mountbatten was assassinated by the IRA in 1979. When William was born in 1982, Charles chose Louis as one of William's middle names -- displaying the deep admiration Charles had for his uncle. William's choice of Louis for his own son surely shows William's affection and respect for his father. Here's to many more celebratory moments over the next few months in London.